If you’ve read my previous posts, you know that I think the Reading Kingdom is a great homeschool curriculum for reading, but what about math apps for your kids? Adding in addition and subsuming subtraction is vital to mathematical success! Here is a fun addition application to check out with your children. Adding Apples is perfect for children to learn math operations through ‘hands-on’ object-based manipulatives that they can touch to count and interact with. There is a lot of flexibility in this app; not only is it a great tool for both sit down teaching of math concepts, it’s also great fun for independent exploration and building confidence with visual representations of the problems before tackling abstract pen and paper problems. You can focus in on specific fact families or allow a free range of play across the entire app. Perfect for building conceptual understanding of basic math in young children. I think that Adding Apples is an excellent showcase of the types of hands-on learning experiences that touch-enabled devices are capable of creating. The direct correspondence between numbers and touchable apples is incredibly effective. Combined with the flexible, open design of the app, this transforms Adding Apples not only into a fun game for children to play that reinforces their math skills, but also into something that parents can sit down with their children and actually use to teach addition and counting. There are a many, many math lessons that can be pulled out of this app when used intentionally as a teaching aid. 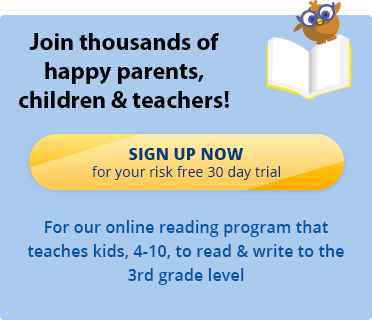 Remember, math and reading go hand in hand, so until next time, if you’re interested in a great online reading program that can be used as a homeschool curriculum, as a supplement to your existing curriculum, or as an interactive reading game for kids, sign up for a free trial of the Reading Kingdom.